The Artisans Asylum in Somerville Massachusetts is holding a class called Project Hexapod. 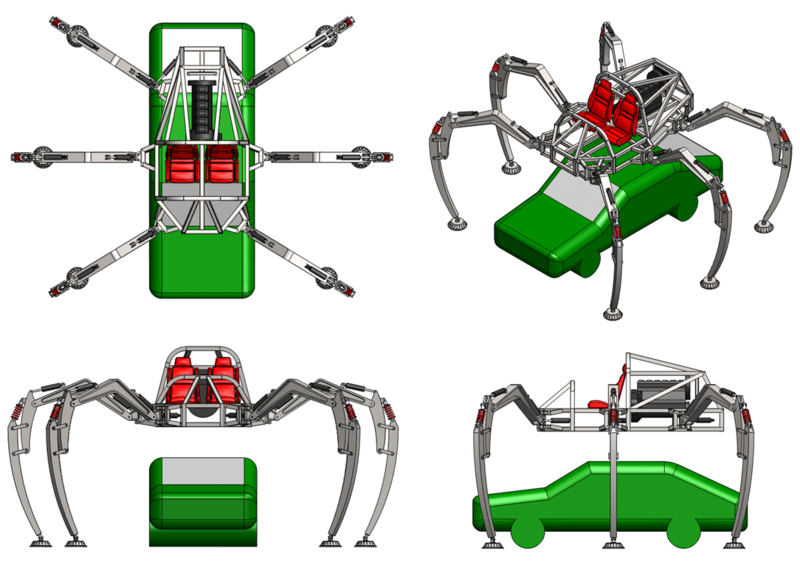 Their mission is to build this car-sized two-person hexapod robot and ride it through town in about four months. They've just posted the first set of schematics and named the robot "Stompy". I'm putting this on my "potential overlords to welcome" list. Stompy is coming - Project Hexapod Thanks Joe!